The Roebuck, SC area has had 9 reports of on-the-ground hail by trained spotters, and has been under severe weather warnings 58 times during the past 12 months. Doppler radar has detected hail at or near Roebuck, SC on 28 occasions, including 3 occasions during the past year. 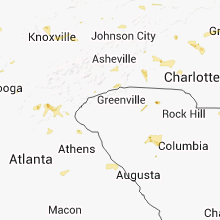 4/14/2019 10:55 PM EDT The severe thunderstorm warning for southeastern spartanburg county will expire at 1100 pm edt, the storms which prompted the warning have weakened below severe limits, and have exited the warned area. therefore the warning will be allowed to expire. however, gusty winds are still possible with these thunderstorms. 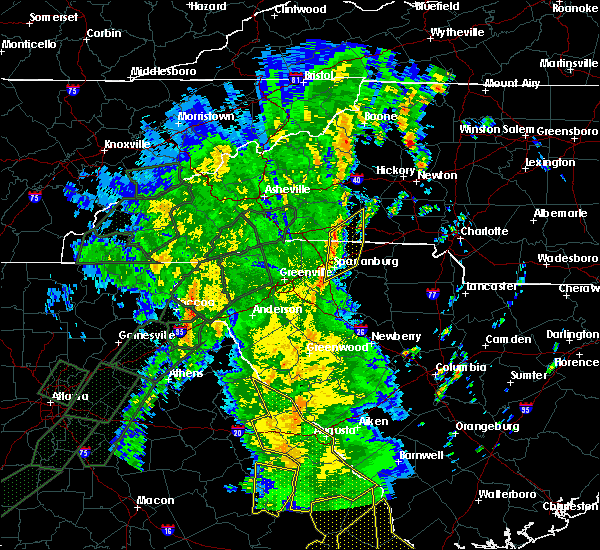 a tornado watch remains in effect until 500 am edt for upstate south carolina. 4/14/2019 10:41 PM EDT At 1040 pm edt, severe thunderstorms were located along a line extending from near spartanburg to 17 miles west of union to 12 miles north of laurens, moving east at 40 mph (radar indicated). Hazards include 60 mph wind gusts. Expect damage to trees and power lines. locations impacted include, spartanburg, woodruff, pacolet, cowpens, roebuck, pacolet mills, moore, croft state park, cedar springs and pauline. 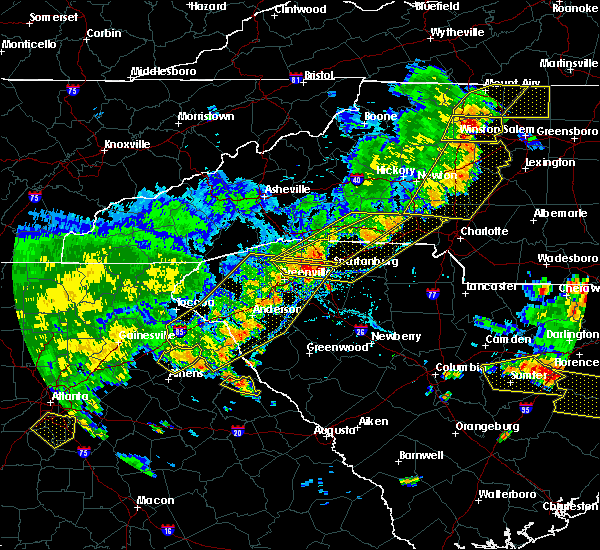 A tornado watch remains in effect until 500 am edt for upstate south carolina. 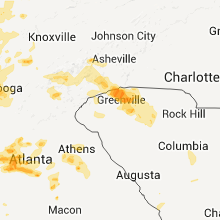 4/14/2019 10:29 PM EDT At 1028 pm edt, severe thunderstorms were located along a line extending from 6 miles southwest of spartanburg to 20 miles east of greenville downtown to 13 miles northwest of laurens, moving east at 30 mph (radar indicated). Hazards include 60 mph wind gusts. Expect damage to trees and power lines. locations impacted include, spartanburg, woodruff, pacolet, cowpens, roebuck, pacolet mills, croft state park, moore, cedar springs and pauline. 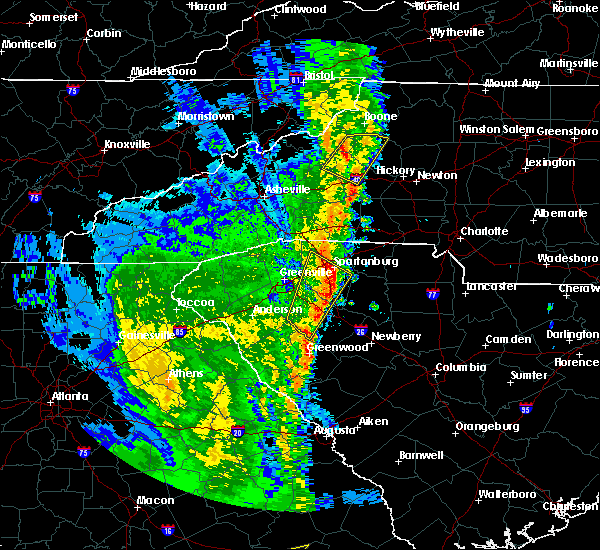 A tornado watch remains in effect until 500 am edt for upstate south carolina. 12/2/2018 3:12 AM EST At 311 am est, a severe thunderstorm was located near greenville downtown, or near greenville eastside, moving east at 65 mph (radar indicated). Hazards include 60 mph wind gusts and quarter size hail. Minor hail damage to vehicles is expected. expect wind damage to trees and power lines. Locations impacted include, greenville downtown, greenville eastside, west greenville, greer, taylors, welcome, duncan, lyman, wellford and inman. 12/2/2018 3:00 AM EST At 300 am est, a severe thunderstorm was located 5 miles east of easley, or over powdersville, moving northeast at 60 mph (radar indicated). Hazards include 60 mph wind gusts and quarter size hail. Minor hail damage to vehicles is expected. Expect wind damage to trees and power lines. 10/11/2018 3:24 AM EDT At 322 am edt, a severe thunderstorm capable of producing a tornado was located 14 miles west of union, or 10 miles southeast of woodruff, moving northwest at 30 mph (radar indicated rotation). Hazards include tornado. Flying debris will be dangerous to those caught without shelter. mobile homes will be damaged or destroyed. damage to roofs, windows, and vehicles will occur. tree damage is likely. this dangerous storm will be near, woodruff around 340 am edt. Other locations impacted by this dangerous storm include enoree, pauline and cross anchor. 10/11/2018 3:12 AM EDT At 312 am edt, a severe thunderstorm capable of producing a tornado was located 11 miles southwest of union, or 5 miles west of rose hill state park, moving northwest at 40 mph (radar indicated rotation). Hazards include tornado. Flying debris will be dangerous to those caught without shelter. mobile homes will be damaged or destroyed. damage to roofs, windows, and vehicles will occur. tree damage is likely. this dangerous storm will be near, moore, roebuck and woodruff around 340 am edt. Other locations impacted by this dangerous thunderstorm include cross keys, sedalia, enoree, pauline and cross anchor. 9/27/2018 7:30 PM EDT At 729 pm edt, severe thunderstorms were located along a line extending from 5 miles northeast of easley to 3 miles east of downtown greenville to 18 miles southwest of spartanburg to 8 miles northwest of laurens, moving northeast at 45 mph (radar indicated). Hazards include 60 mph wind gusts. Expect damage to trees and power lines. Locations impacted include, greenville, spartanburg, columbus, greer, mauldin, taylors, berea and five forks. 9/27/2018 7:12 PM EDT At 712 pm edt, severe thunderstorms were located along a line extending from 3 miles southwest of easley to 13 miles south of greenville downtown to 12 miles west of laurens, moving northeast at 50 mph (radar indicated). Hazards include 70 mph wind gusts. Expect considerable tree damage. damage is likely to mobile homes, roofs, and outbuildings. Locations impacted include, greenville, spartanburg, easley, columbus, greer, mauldin, taylors and simpsonville. 9/27/2018 6:53 PM EDT The national weather service in greenville-spartanburg has issued a * severe thunderstorm warning for. southeastern henderson county in western north carolina. southern polk county in western north carolina. northwestern laurens county in upstate south carolina. 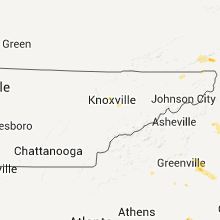 Greenville county in upstate south carolina. 8/6/2018 5:38 PM EDT At 538 pm edt, a severe thunderstorm was located 9 miles southeast of spartanburg, or near croft state park, moving southeast at 15 mph (radar indicated). Hazards include 60 mph wind gusts and quarter size hail. Minor hail damage to vehicles is expected. expect wind damage to trees and power lines. Locations impacted include, union, pacolet, monarch mill, roebuck, buffalo, jonesville, pacolet mills, croft state park, cedar springs and pauline. 8/6/2018 5:17 PM EDT At 517 pm edt, a severe thunderstorm was located 6 miles southeast of spartanburg, or near croft state park, moving southeast at 15 mph (radar indicated). Hazards include 60 mph wind gusts and quarter size hail. Minor hail damage to vehicles is expected. Expect wind damage to trees and power lines. 7/21/2018 8:11 PM EDT At 810 pm edt, severe thunderstorms were located along a line extending from 6 miles east of gaffney to 4 miles southeast of spartanburg, moving east at 15 mph (hail reported by a member of the public. winds indicated by radar). Hazards include 60 mph wind gusts and quarter size hail. Minor hail damage to vehicles is expected. expect wind damage to trees and power lines. Locations impacted include, pacolet, roebuck, jonesville, pacolet mills, smyrna, croft state park, cedar springs, pauline, cherokee falls and draytonville. 7/21/2018 7:45 PM EDT At 745 pm edt, severe thunderstorms were located along a line extending from near gaffney to 5 miles west of spartanburg, moving east at 20 mph (radar indicated). Hazards include 60 mph wind gusts and quarter size hail. Minor hail damage to vehicles is expected. Expect wind damage to trees and power lines. 6/27/2018 5:05 PM EDT At 449 pm edt, severe thunderstorms were located along a line extending from 4 miles northwest of spartanburg to 19 miles north of laurens to 13 miles southeast of greenville downtown, moving east at 35 mph (radar indicated). Hazards include 60 mph wind gusts and quarter size hail. Minor hail damage to vehicles is expected. Expect wind damage to trees and power lines. 6/27/2018 4:49 PM EDT At 449 pm edt, severe thunderstorms were located along a line extending from 4 miles northwest of spartanburg to 19 miles north of laurens to 13 miles southeast of greenville downtown, moving east at 35 mph (radar indicated). Hazards include 60 mph wind gusts and quarter size hail. Minor hail damage to vehicles is expected. Expect wind damage to trees and power lines. 6/27/2018 4:46 PM EDT At 446 pm edt, severe thunderstorms were located along a line extending from 10 miles northwest of spartanburg to 14 miles east of greenville downtown, moving southeast at 30 mph (radar indicated). Hazards include 60 mph wind gusts and quarter size hail. Minor hail damage to vehicles is expected. expect wind damage to trees and power lines. Locations impacted include, greenville downtown, spartanburg, greenville eastside, west greenville, greer, taylors, five forks, welcome, boiling springs sc and travelers rest. 6/27/2018 4:29 PM EDT The national weather service in greenville-spartanburg has issued a * severe thunderstorm warning for. northeastern greenville county in upstate south carolina. spartanburg county in upstate south carolina. until 515 pm edt. At 428 pm edt, a severe thunderstorm was located 12 miles south of. 6/27/2018 4:11 PM EDT At 411 pm edt, a severe thunderstorm was located 8 miles southeast of columbus, or near campobello, moving east at 20 mph (radar indicated). Hazards include 60 mph wind gusts and quarter size hail. Minor hail damage to vehicles is expected. expect wind damage to trees and power lines. Locations impacted include, spartanburg, boiling springs sc, landrum, inman, chesnee, campobello, lake bowen, usc upstate, gowensville and fingerville. 6/27/2018 3:52 PM EDT At 352 pm edt, a severe thunderstorm was located 7 miles south of columbus, or near landrum, moving east at 20 mph (radar indicated). Hazards include 60 mph wind gusts and quarter size hail. Minor hail damage to vehicles is expected. Expect wind damage to trees and power lines. 6/26/2018 5:15 PM EDT At 515 pm edt, a severe thunderstorm was located 9 miles southeast of spartanburg, or near croft state park, moving southeast at 20 mph (radar indicated). Hazards include 60 mph wind gusts and quarter size hail. Minor hail damage to vehicles is expected. expect wind damage to trees and power lines. Locations impacted include, spartanburg, pacolet, roebuck, jonesville, pacolet mills, moore, croft state park, cedar springs, pauline and buffalo. 6/26/2018 4:54 PM EDT At 454 pm edt, a severe thunderstorm was located 5 miles southwest of spartanburg, or over roebuck, moving east at 20 mph (radar indicated). Hazards include 60 mph wind gusts and quarter size hail. Minor hail damage to vehicles is expected. Expect wind damage to trees and power lines. 6/25/2018 6:58 PM EDT The national weather service in greenville-spartanburg has issued a * severe thunderstorm warning for. southeastern elbert county in northeastern georgia. laurens county in upstate south carolina. chester county in upstate south carolina. Southern york county in upstate south carolina. 6/25/2018 6:58 PM EDT At 658 pm edt, severe thunderstorms were located along a line extending from 10 miles southeast of gaffney to 10 miles southeast of abbeville, moving east at 45 mph (radar indicated). Hazards include 60 mph wind gusts and quarter size hail. Minor hail damage to vehicles is expected. Expect wind damage to trees and power lines. 6/25/2018 6:46 PM EDT At 645 pm edt, severe thunderstorms were located along a line extending from 10 miles northeast of gastonia to 8 miles southwest of gaffney, moving east at 35 mph (radar indicated). Hazards include 60 mph wind gusts and quarter size hail. Minor hail damage to vehicles is expected. expect wind damage to trees and power lines. Locations impacted include, gastonia, spartanburg, shelby, gaffney, kings mountain, mt holly, cherryville, bessemer city, south gastonia and boiling springs sc. 6/25/2018 6:30 PM EDT Golf Ball sized hail reported 2.4 miles N of Roebuck, SC, golf ball size hail. 6/25/2018 6:22 PM EDT At 621 pm edt, severe thunderstorms were located along a line extending from 6 miles northwest of gastonia to 4 miles northwest of spartanburg, moving east at 35 mph (radar indicated). Hazards include 60 mph wind gusts and quarter size hail. Minor hail damage to vehicles is expected. Expect wind damage to trees and power lines. 6/25/2018 2:57 PM EDT At 257 pm edt, a severe thunderstorm was located 5 miles northwest of spartanburg, or near usc upstate, moving east at 15 mph (radar indicated). Hazards include 60 mph wind gusts and half dollar size hail. Minor hail damage to vehicles is expected. expect wind damage to trees and power lines. Locations impacted include, spartanburg, boiling springs sc, mayo, usc upstate, cedar springs, lake bowen, inman and roebuck. 6/25/2018 2:44 PM EDT At 243 pm edt, a severe thunderstorm was located 8 miles northwest of spartanburg, or near inman, moving east at 15 mph (radar indicated). Hazards include 60 mph wind gusts and half dollar size hail. Minor hail damage to vehicles is expected. Expect wind damage to trees and power lines. 6/25/2018 2:18 PM EDT At 217 pm edt, a severe thunderstorm was located 11 miles south of columbus, or 4 miles southwest of campobello, moving southeast at 15 mph (radar indicated). Hazards include golf ball size hail and 60 mph wind gusts. People and animals outdoors will be injured. expect hail damage to roofs, siding, windows, and vehicles. expect wind damage to trees and power lines. Locations impacted include, spartanburg, boiling springs sc, lyman, wellford, inman, roebuck, campobello, moore, lake bowen and usc upstate. 6/25/2018 2:05 PM EDT At 204 pm edt, a severe thunderstorm was located 11 miles south of columbus, or 5 miles southwest of campobello, moving southeast at 20 mph (radar indicated). Hazards include 60 mph wind gusts and quarter size hail. Minor hail damage to vehicles is expected. Expect wind damage to trees and power lines. 6/23/2018 5:49 PM EDT At 548 pm edt, severe thunderstorms were located along a line extending from 8 miles west of columbus to 19 miles southeast of hendersonville to 11 miles northeast of greenville downtown to 15 miles southwest of spartanburg to 14 miles northwest of laurens, moving east at 40 mph (radar indicated). Hazards include 60 mph wind gusts. Expect damage to trees and power lines. Locations impacted include, spartanburg, columbus, greer, five forks, fountain inn, boiling springs sc, woodruff, duncan, lyman and pacolet. 6/2/2018 5:20 PM EDT At 519 pm edt, a severe thunderstorm was located 8 miles west of spartanburg, or over wellford, moving south at 25 mph (radar indicated). Hazards include 60 mph wind gusts and quarter size hail. Minor hail damage to vehicles is expected. expect wind damage to trees and power lines. Locations impacted include, spartanburg, boiling springs sc, duncan, lyman, wellford, inman, roebuck, reidville, usc upstate and cedar springs. 6/2/2018 4:58 PM EDT The national weather service in greenville-spartanburg has issued a * severe thunderstorm warning for. northern spartanburg county in upstate south carolina. until 545 pm edt. At 458 pm edt, a severe thunderstorm was located 11 miles northwest of spartanburg, or near inman, moving south at 20 mph. 5/31/2018 5:28 PM EDT At 527 pm edt, a severe thunderstorm was located 8 miles south of spartanburg, or near moore, moving east at 20 mph (radar indicated). Hazards include 60 mph wind gusts and quarter size hail. Minor hail damage to vehicles is expected. expect wind damage to trees and power lines. Locations impacted include, spartanburg, boiling springs sc, woodruff, cowpens, wellford, inman, mayo, roebuck, reidville and lake bowen. 5/31/2018 5:14 PM EDT At 514 pm edt, a severe thunderstorm was located 6 miles west of spartanburg, or near wellford, moving southeast at 25 mph (radar indicated). Hazards include 60 mph wind gusts and quarter size hail. Minor hail damage to vehicles is expected. Expect wind damage to trees and power lines. 4/15/2018 12:54 PM EDT The severe thunderstorm warning for northwestern laurens and spartanburg counties will expire at 100 pm edt, the storm which prompted the warning has moved out of the area. therefore the warning will be allowed to expire. 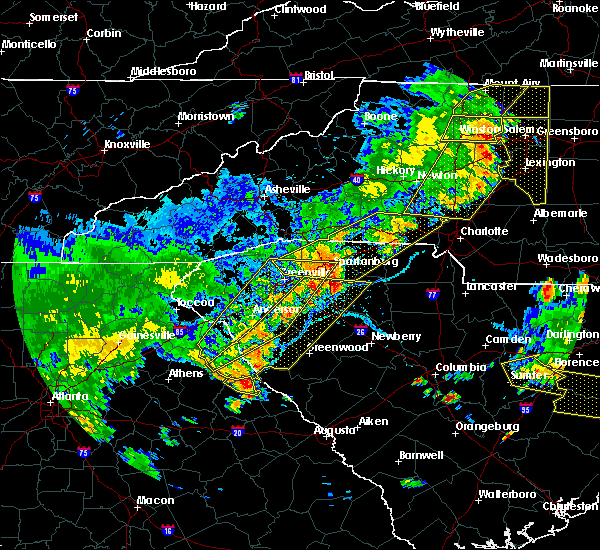 a tornado watch remains in effect until 700 pm edt for western north carolina, and upstate south carolina. if you observed large hail or wind damage, please report it to the national weather service greenville-spartanburg by calling toll free, 1, 800, 2 6 7, 8 1 0 1, or by posting on our facebook page, or tweet it using hashtag nwsgsp. your message should describe the event and the specific location where it occurred. remember, a severe thunderstorm warning still remains in effect for central laurens county and eastern spartanburg county. 4/15/2018 12:19 PM EDT At 1219 pm edt, a severe thunderstorm was located 7 miles north of spartanburg, or near mayo, moving northeast at 55 mph (radar indicated). Hazards include 60 mph wind gusts and quarter size hail. Minor hail damage to vehicles is expected. Expect wind damage to trees and power lines. 4/15/2018 12:10 PM EDT At 1209 pm edt, a severe thunderstorm was located 7 miles south of spartanburg, or near roebuck, moving northeast at 55 mph. radar continues to indicate possible hail to 1 inch and possible severe wind gusts (radar indicated). Hazards include 60 mph wind gusts and quarter size hail. Minor hail damage to vehicles is expected. expect wind damage to trees and power lines. Locations impacted include, spartanburg, laurens, woodruff, duncan, lyman, wellford, inman, roebuck, gray court and reidville. 4/15/2018 11:50 AM EDT At 1150 am edt, a severe thunderstorm was located 8 miles northwest of laurens, or over gray court, moving northeast at 55 mph (radar indicated). Hazards include 60 mph wind gusts and quarter size hail. Minor hail damage to vehicles is expected. Expect wind damage to trees and power lines. 10/23/2017 3:19 PM EDT At 318 pm edt, a confirmed tornado was located near spartanburg, or over usc upstate, moving northeast at 35 mph (radar confirmed tornado). Hazards include damaging tornado. Flying debris will be dangerous to those caught without shelter. mobile homes will be damaged or destroyed. damage to roofs, windows, and vehicles will occur. tree damage is likely. this tornado will be near, boiling springs sc, mayo and cowpens around 330 pm edt. Other locations impacted by this dangerous storm include thicketty. 10/23/2017 3:08 PM EDT At 308 pm edt, a confirmed tornado was located near spartanburg, or near roebuck, moving northeast at 40 mph (radar confirmed tornado). Hazards include damaging tornado. Flying debris will be dangerous to those caught without shelter. mobile homes will be damaged or destroyed. damage to roofs, windows, and vehicles will occur. tree damage is likely. this tornado will be near, cedar springs and croft state park around 310 pm edt. 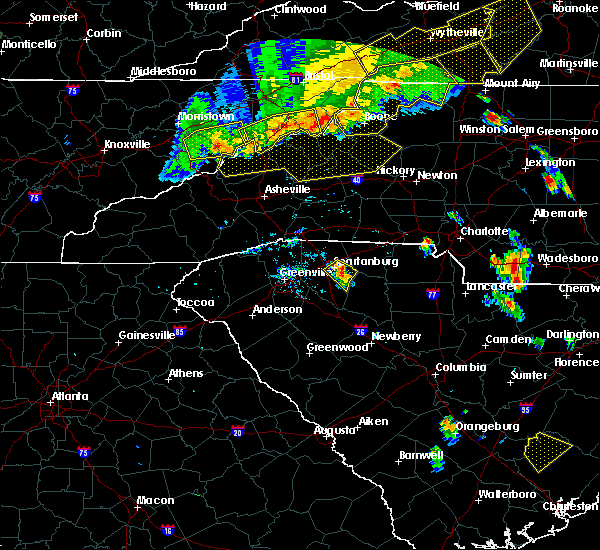 spartanburg, usc upstate and boiling springs sc around 320 pm edt. 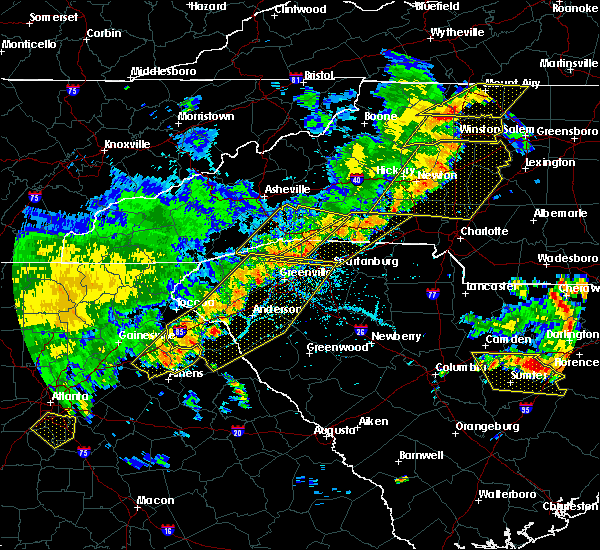 mayo and cowpens around 330 pm edt. Other locations impacted by this dangerous storm include pauline and thicketty. 10/23/2017 3:02 PM EDT At 301 pm edt, a confirmed tornado was located 9 miles southwest of spartanburg, or near moore, moving northeast at 30 mph (radar confirmed tornado). Hazards include damaging tornado. Flying debris will be dangerous to those caught without shelter. mobile homes will be damaged or destroyed. damage to roofs, windows, and vehicles will occur. tree damage is likely. this tornado will be near, roebuck around 310 pm edt. cedar springs, croft state park and usc upstate around 320 pm edt. 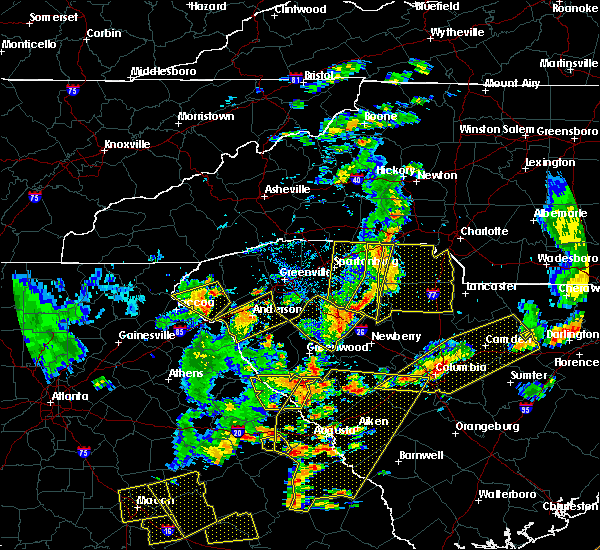 spartanburg, cowpens, pacolet mills, pacolet and mayo around 330 pm edt. Other locations impacted by this dangerous storm include pauline and thicketty. 10/23/2017 2:54 PM EDT At 254 pm edt, a severe thunderstorm capable of producing a tornado was located 11 miles southwest of spartanburg, or near moore, moving northeast at 35 mph (radar indicated rotation). Hazards include tornado. Flying debris will be dangerous to those caught without shelter. mobile homes will be damaged or destroyed. damage to roofs, windows, and vehicles will occur. tree damage is likely. this dangerous storm will be near, moore around 300 pm edt. roebuck and cedar springs around 310 pm edt. 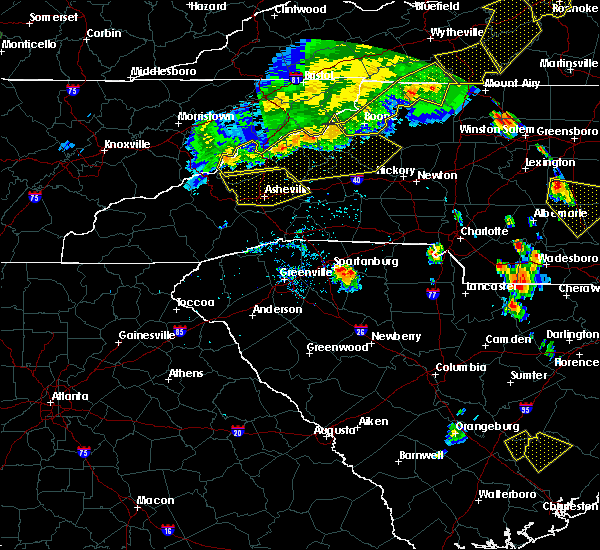 spartanburg, croft state park, usc upstate and pacolet around 320 pm edt. 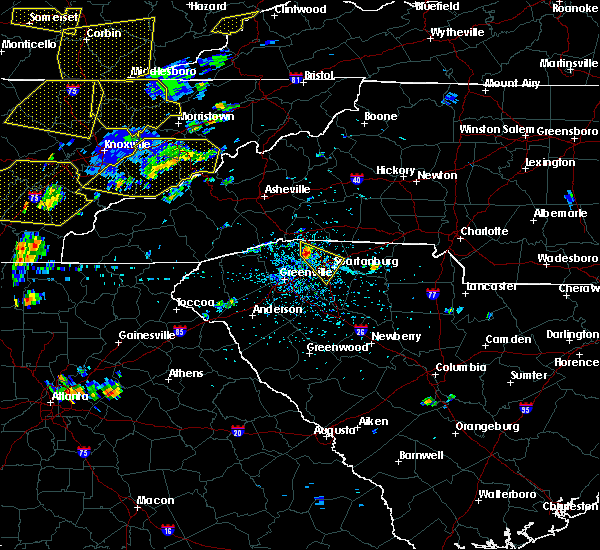 cowpens, mayo and pacolet mills around 330 pm edt. Other locations impacted by this dangerous thunderstorm include pauline and thicketty. 7/28/2017 3:41 PM EDT At 341 pm edt, severe thunderstorms were located along a line extending from 12 miles southeast of columbus to 7 miles east of spartanburg to 14 miles north of newberry, moving northeast at 25 mph (radar indicated). Hazards include 60 mph wind gusts. Expect damage to trees and power lines. Locations impacted include, spartanburg, gaffney, union, boiling springs sc, pacolet, cowpens, wellford, inman, monarch mill and blacksburg. 7/28/2017 3:22 PM EDT At 322 pm edt, severe thunderstorms were located along a line extending from 10 miles south of columbus to 7 miles southwest of spartanburg to 15 miles north of laurens, moving east at 40 mph (radar indicated). Hazards include 60 mph wind gusts and quarter size hail. Minor hail damage to vehicles is expected. expect wind damage to trees and power lines. Locations impacted include, woodruff, duncan, lyman, wellford, inman, roebuck, campobello, reidville, gsp airport and moore. 7/28/2017 3:04 PM EDT At 304 pm edt, severe thunderstorms were located along a line extending from 17 miles southwest of columbus to 7 miles east of greenville downtown to 19 miles northwest of laurens, moving east at 35 mph (radar indicated). Hazards include 60 mph wind gusts and quarter size hail. Minor hail damage to vehicles is expected. expect wind damage to trees and power lines. Locations impacted include, greenville downtown, greenville eastside, west greenville, greer, mauldin, taylors, simpsonville, berea, five forks and fountain inn. 7/28/2017 2:46 PM EDT At 246 pm edt, severe thunderstorms were located along a line extending from 10 miles north of easley to 4 miles southwest of greenville downtown to 12 miles northeast of anderson, moving east at 35 mph (radar indicated). Hazards include 60 mph wind gusts and quarter size hail. Minor hail damage to vehicles is expected. Expect wind damage to trees and power lines. 7/23/2017 4:24 PM EDT At 424 pm edt, a group of strong to severe thunderstorms was located 10 miles southwest of spartanburg, or near reidville, moving east at 15 mph (radar indicated). Hazards include 60 mph wind gusts and penny size hail. Expect damage to trees and power lines. Locations impacted include, roebuck, jonesville, reidville, moore, croft state park, cross keys, pauline, cross anchor, woodruff and buffalo. 7/8/2017 4:47 PM EDT At 446 pm edt, a severe thunderstorm was located 11 miles northwest of greenville downtown, or near slater-marietta, moving east at 15 mph (radar indicated). Hazards include 60 mph wind gusts and quarter size hail. Minor hail damage to vehicles is expected. Expect wind damage to trees and power lines. 4/6/2017 12:47 AM EDT At 1245 am edt, severe thunderstorms were located along a line extending from 11 miles southeast of columbus to 12 miles southwest of spartanburg to 9 miles west of laurens, moving east at 50 mph (radar indicated). Hazards include 60 mph wind gusts and half dollar size hail. Hail damage to vehicles is expected. expect wind damage to roofs, siding, and trees. Locations impacted include, spartanburg, laurens, greer, simpsonville, five forks, fountain inn, boiling springs sc, woodruff, duncan and lyman. 4/3/2017 2:57 PM EDT At 256 pm edt, severe thunderstorms were located along a line extending from 18 miles south of spartanburg to 21 miles southwest of union to 5 miles south of laurens, moving northeast at 55 mph (radar indicated). Hazards include 60 mph wind gusts. Expect damage to trees and minor damage to roofs and siding. locations impacted include, laurens, clinton, woodruff, croft state park, moore, cedar springs, pauline, enoree, cross anchor and ora. 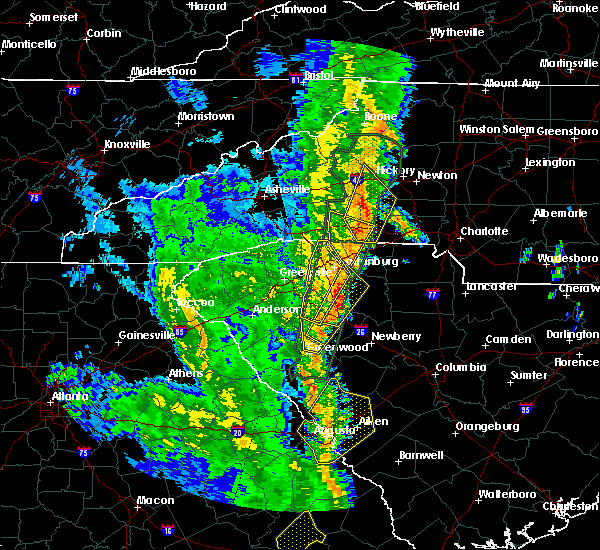 A tornado watch remains in effect until 900 pm edt for upstate south carolina. 3/21/2017 7:39 PM EDT At 737 pm edt, a severe thunderstorm was located 10 miles southwest of spartanburg, or near reidville, moving southeast at 10 mph (public). Hazards include 60 mph wind gusts and half dollar size hail. Hail damage to vehicles is expected. expect wind damage to roofs, siding and trees. Locations impacted include, woodruff, duncan, lyman, wellford, roebuck, reidville, croft state park, moore, pauline and enoree. 3/21/2017 7:15 PM EDT At 714 pm edt, a severe thunderstorm was located 11 miles southwest of spartanburg, or over reidville, moving southeast at 15 mph (radar indicated). Hazards include golf ball size hail and 60 mph wind gusts. People and animals outdoors will be injured. expect hail damage to roofs, siding, windows and vehicles. Expect wind damage to roofs, siding and trees. 3/1/2017 7:26 PM EST At 726 pm est, severe thunderstorms were located along a line extending from 6 miles northeast of gaffney to 10 miles southeast of spartanburg to 15 miles northwest of newberry, moving east at 60 mph (radar indicated). Hazards include golf ball size hail and 70 mph wind gusts. People and animals outdoors will be injured. expect hail damage to roofs, siding, windows and vehicles. expect considerable tree damage. wind damage is also likely to mobile homes, roofs and outbuildings. Locations impacted include, spartanburg, gaffney, union, woodruff, pacolet, cowpens, monarch mill, blacksburg, mayo and roebuck. 3/1/2017 7:10 PM EST At 709 pm est, severe thunderstorms were located along a line extending from 7 miles northeast of spartanburg to 16 miles east of greenville downtown to 4 miles southeast of laurens, moving east at 55 mph (radar indicated). Hazards include golf ball size hail and 70 mph wind gusts. People and animals outdoors will be injured. expect hail damage to roofs, siding, windows and vehicles. expect considerable tree damage. Wind damage is also likely to mobile homes, roofs and outbuildings. 3/1/2017 6:51 PM EST At 651 pm est, severe thunderstorms were located along a line extending from 10 miles southeast of columbus to 12 miles west of laurens, moving east at 55 mph (radar indicated). Hazards include 60 mph wind gusts and quarter size hail. Hail damage to vehicles is expected. expect wind damage to roofs, siding and trees. Locations impacted include, greenville downtown, spartanburg, laurens, greenville eastside, west greenville, greer, mauldin, taylors, simpsonville and berea. 3/1/2017 6:29 PM EST At 629 pm est, severe thunderstorms were located along a line extending from 12 miles north of greenville downtown to 8 miles southeast of anderson, moving east at 55 mph (radar indicated). Hazards include 60 mph wind gusts and quarter size hail. Hail damage to vehicles is expected. Expect wind damage to roofs, siding and trees. 11/30/2016 5:28 PM EST The tornado warning for central spartanburg county will expire at 530 pm est, the storm which prompted the warning has weakened below severe limits, and has exited the warned area. therefore the warning will be allowed to expire. a severe thunderstorm watch remains in effect until 800 pm est for upstate south carolina. 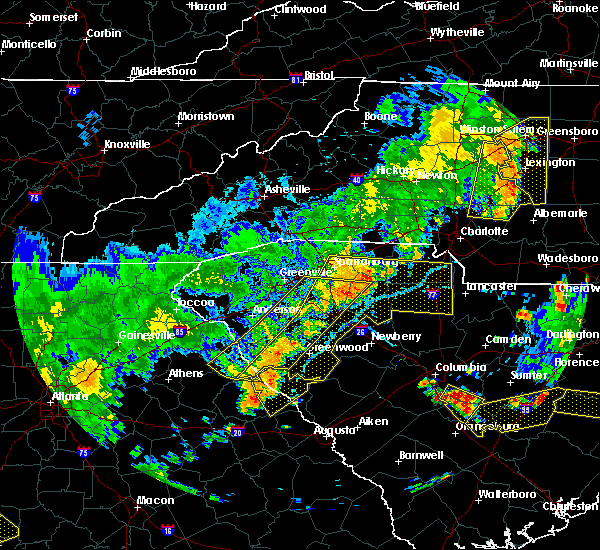 remember, a severe thunderstorm warning still remains in effect for portions of spartanburg county. 11/30/2016 5:17 PM EST At 517 pm est, severe thunderstorms were located along a line extending from 13 miles southeast of morganton to 4 miles northeast of spartanburg to 13 miles northwest of union to 12 miles southeast of laurens to 9 miles east of greenwood, moving east at 55 mph (radar indicated). Hazards include 60 mph wind gusts. Expect damage to roofs. siding and trees. Locations impacted include, spartanburg, greenwood, shelby, gaffney, laurens, union, forest city, rutherfordton, clinton and boiling springs sc. 11/30/2016 5:06 PM EST At 505 pm est, a confirmed tornado was located 12 miles southwest of spartanburg, or 4 miles southeast of reidville, moving east at 45 mph (radar confirmed tornado). Hazards include damaging tornado. Flying debris will be dangerous to those caught without shelter. mobile homes will be damaged or destroyed. damage to roofs, windows and vehicles will occur. tree damage is likely. this tornado will be near, moore around 510 pm est. spartanburg, croft state park, cedar springs and roebuck around 520 pm est. pacolet and pacolet mills around 530 pm est. Other locations impacted by this dangerous storm include pauline. 11/30/2016 4:54 PM EST At 453 pm est, a tornado producing storm was located 12 miles southeast of greenville downtown, or near simpsonville, moving east at 55 mph (radar confirmed tornado). Hazards include damaging tornado. Flying debris will be dangerous to those caught without shelter. mobile homes will be damaged or destroyed. damage to roofs, windows and vehicles will occur. tree damage is likely. this dangerous storm will be near, woodruff and reidville around 500 pm est. moore and roebuck around 510 pm est. spartanburg, croft state park and cedar springs around 520 pm est. pacolet and pacolet mills around 530 pm est. Other locations impacted by this dangerous thunderstorm include pauline. 7/30/2016 6:15 PM EDT At 614 pm edt, a severe thunderstorm was located 13 miles southwest of spartanburg, or near reidville, moving southeast at 15 mph (radar indicated). Hazards include 60 mph wind gusts and penny size hail. Expect damage to roofs. siding and trees. Locations impacted include, woodruff, roebuck, reidville, moore and duncan. 7/30/2016 6:04 PM EDT At 603 pm edt, a severe thunderstorm was located 11 miles east of greenville downtown, or near gsp airport, moving east at 15 mph (radar indicated). Hazards include 60 mph wind gusts and penny size hail. Expect damage to roofs. Siding and trees. 7/22/2016 6:53 PM EDT At 653 pm edt, a severe thunderstorm was located 5 miles southwest of spartanburg, or near roebuck, moving east at 10 mph (radar indicated). Hazards include 60 mph wind gusts. Expect damage to roofs. siding and trees. Locations impacted include, spartanburg, roebuck, moore and reidville. 7/22/2016 6:27 PM EDT At 627 pm edt, a severe thunderstorm was located 9 miles southwest of spartanburg, or near reidville, moving east at 10 mph (radar indicated). Hazards include 60 mph wind gusts and penny size hail. Expect damage to roofs. Siding and trees. 7/8/2016 8:31 PM EDT At 830 pm edt, a severe thunderstorm was located 13 miles northeast of greenville downtown, or near lake robinson, moving east at 35 mph (radar indicated). Hazards include ping pong ball size hail. People and animals outdoors will be injured. Expect damage to roofs, siding, windows and vehicles. 6/1/2016 5:43 PM EDT At 543 pm edt, a severe thunderstorm was located 7 miles northeast of spartanburg, or near cowpens, moving southwest at 10 mph (radar indicated). Hazards include 60 mph wind gusts and quarter size hail. Hail damage to vehicles is expected. Expect wind damage to roofs, siding and trees. 5/11/2016 4:45 PM EDT Quarter sized hail reported 1.8 miles S of Roebuck, SC, dime to quarter sized hail near the intersection of highways 221 and 295. 5/11/2016 4:38 PM EDT At 438 pm edt, a severe thunderstorm was located near spartanburg, or near roebuck, moving southeast at 25 mph (radar indicated). Hazards include 60 mph wind gusts and quarter size hail. Hail damage to vehicles is expected. Expect wind damage to roofs, siding and trees. 3/14/2016 6:55 PM EDT At 654 pm edt, doppler radar indicated a severe thunderstorm capable of producing large damaging hail up to golf ball size and damaging winds in excess of 60 mph. this storm was located 6 miles southeast of spartanburg, or near croft state park, and moving east at 30 mph. * locations in the warning include, spartanburg, pacolet, jonesville, pacolet mills, croft state park, cedar springs, pauline, adamsburg, saratt and lockhart. 3/14/2016 6:43 PM EDT At 643 pm edt, doppler radar indicated a severe thunderstorm capable of producing large damaging hail up to golf ball size and damaging winds in excess of 60 mph. this storm was located near spartanburg, or near roebuck, moving east at 30 mph. locations impacted include, spartanburg, pacolet, roebuck, jonesville, pacolet mills, croft state park, cedar springs, moore, pauline and thicketty. 3/14/2016 6:39 PM EDT Golf Ball sized hail reported 4.2 miles NNE of Roebuck, SC, golf ball size hail near the intersection of hwy 291 and bethany church rd. 3/14/2016 6:22 PM EDT At 622 pm edt, doppler radar indicated a severe thunderstorm capable of producing large hail up to ping pong ball size and damaging winds in excess of 60 mph. 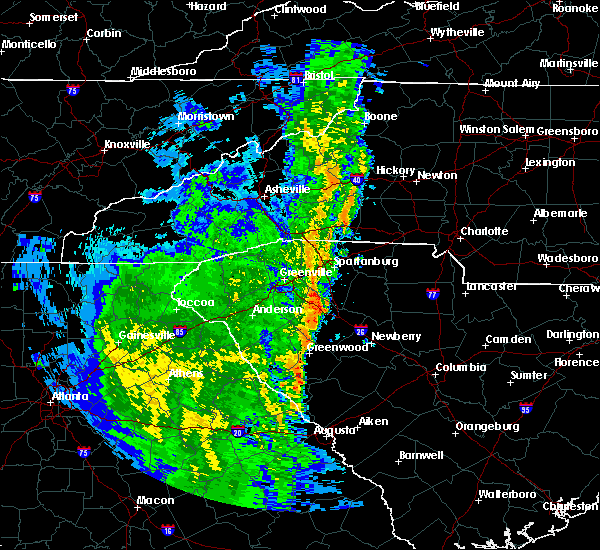 this storm was located 9 miles west of spartanburg, or near duncan, and moving east at 40 mph. * locations in the warning include, spartanburg, gaffney, duncan, lyman, pacolet, cowpens, wellford, roebuck, jonesville and pacolet mills. 8/6/2015 4:15 PM EDT At 415 pm edt, doppler radar indicated a line of severe thunderstorms capable of producing quarter size hail and damaging winds in excess of 60 mph. these storms were located along a line extending from 6 miles west of gaffney to 12 miles east of spartanburg to 14 miles northeast of laurens, moving east at 55 mph. locations impacted include, spartanburg, gaffney, union, pacolet, cowpens, monarch mill, blacksburg, mayo, buffalo and chesnee. 8/6/2015 4:13 PM EDT At 413 pm edt, doppler radar indicated a line of severe thunderstorms with a history of producing damaging winds in excess of 60 mph. these storms were located along a line extending from 11 miles west of gaffney to 4 miles east of spartanburg to 17 miles north of laurens, moving east at 35 mph. nickel size hail may also accompany the damaging winds. locations impacted include, spartanburg, boiling springs sc, woodruff, roebuck, usc upstate, cedar springs, moore and enoree. 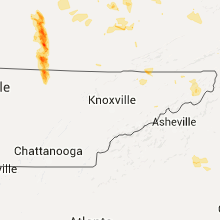 8/6/2015 4:03 PM EDT At 403 pm edt, doppler radar indicated a line of severe thunderstorms with a history of producing damaging winds in excess of 60 mph. these storms were located along a line extending from 14 miles west of gaffney to near spartanburg to 16 miles north of laurens, moving east at 35 mph. nickel size hail may also accompany the damaging winds. locations impacted include, spartanburg, boiling springs sc, woodruff, roebuck, usc upstate, cedar springs, moore, enoree, reidville and gray court. 8/6/2015 4:01 PM EDT At 401 pm edt, doppler radar indicated a line of severe thunderstorms capable of producing damaging winds in excess of 60 mph. these storms were located along a line extending from 14 miles west of gaffney to 5 miles south of spartanburg to 7 miles north of laurens, and moving east at 40 mph. * locations in the warning include, spartanburg, gaffney, union, pacolet, cowpens, monarch mill, blacksburg, mayo, buffalo and chesnee. 8/6/2015 3:47 PM EDT At 347 pm edt, doppler radar indicated a line of severe thunderstorms with a history of producing damaging winds in excess of 60 mph. these storms were located along a line extending from 13 miles southeast of columbus to 8 miles southwest of spartanburg to 14 miles southeast of greenville downtown, moving east at 35 mph. nickel size hail may also accompany the damaging winds. locations impacted include, spartanburg, greer, simpsonville, five forks, fountain inn, boiling springs sc, woodruff, duncan, lyman and wellford. 8/6/2015 3:23 PM EDT At 323 pm edt, doppler radar indicated a line of severe thunderstorms capable of producing damaging winds in excess of 60 mph. these storms were located along a line extending from 13 miles south of columbus to 6 miles east of greenville downtown to 12 miles southeast of easley, and moving east at 35 mph. nickel size hail may also accompany the damaging winds. * locations in the warning include, spartanburg, greer, simpsonville, five forks, fountain inn, boiling springs sc, woodruff, duncan, lyman and landrum. 8/5/2015 9:43 PM EDT The severe thunderstorm warning for central spartanburg county will expire at 945 pm edt, the storm which prompted the warning has moved out of the area. therefore the warning will be allowed to expire. however gusty winds are still possible with this thunderstorm. 8/5/2015 9:28 PM EDT At 927 pm edt, doppler radar indicated a severe thunderstorm capable of producing damaging winds in excess of 60 mph. this storm was located 10 miles south of spartanburg, or 6 miles south of croft state park, moving east at 15 mph. penny size hail may also accompany the damaging winds. locations impacted include, pacolet, roebuck, pacolet mills, croft state park, cedar springs, moore, pauline, spartanburg and reidville. 8/5/2015 9:08 PM EDT At 908 pm edt, doppler radar indicated a line of severe thunderstorms capable of producing damaging winds in excess of 60 mph. these storms were located along a line extending from 12 miles north of spartanburg to 17 miles west of union, moving east at 25 mph. locations impacted include, spartanburg, boiling springs sc, lyman, pacolet, cowpens, wellford, inman, mayo, roebuck and pacolet mills. 8/5/2015 8:46 PM EDT At 846 pm edt, doppler radar indicated a line of severe thunderstorms capable of producing damaging winds in excess of 60 mph. these storms were located along a line extending from 13 miles northwest of spartanburg to 18 miles north of laurens, and moving east at 20 mph. * locations in the warning include, spartanburg, boiling springs sc, duncan, lyman, pacolet, cowpens, wellford, inman, mayo and roebuck. 7/20/2015 9:22 PM EDT At 920 pm edt, doppler radar indicated a line of severe thunderstorms capable of producing damaging winds in excess of 60 mph. these storms were located along a line extending from 6 miles northwest of columbus to 11 miles northeast of greenville downtown to 5 miles southeast of easley, moving east at 25 mph. locations impacted include, greenville downtown, spartanburg, columbus, greer, mauldin, taylors, simpsonville, five forks, boiling springs sc and duncan. 7/20/2015 8:36 PM EDT At 835 pm edt, doppler radar indicated a line of severe thunderstorms capable of producing damaging winds in excess of 60 mph. these storms were located along a line extending from 5 miles west of hendersonville to 15 miles north of easley to 6 miles southwest of pickens, and moving east at 30 mph. * locations in the warning include, greenville downtown, spartanburg, easley, hendersonville, pickens, columbus, greer, mauldin, taylors and simpsonville. 7/13/2015 9:08 PM EDT At 907 pm edt, doppler radar indicated a line of severe thunderstorms capable of producing quarter size hail and damaging winds in excess of 60 mph. these storms were located along a line extending from 11 miles east of gaffney to 8 miles northwest of union to 10 miles southwest of spartanburg, moving south at 15 mph. locations impacted include, spartanburg, gaffney, union, woodruff, pacolet, blacksburg, roebuck, buffalo, jonesville and pacolet mills. 7/13/2015 9:02 PM EDT Quarter sized hail reported 0.4 miles NE of Roebuck, SC, up to 1 inch hail in roebuck... sc. 7/13/2015 8:44 PM EDT At 844 pm edt, doppler radar indicated a line of severe thunderstorms capable of producing damaging winds in excess of 60 mph. these storms were located along a line extending from 9 miles northeast of gaffney to 10 miles southeast of spartanburg to 16 miles east of greenville downtown, and moving south at 15 mph. penny size hail may also accompany the damaging winds. 7/13/2015 8:21 PM EDT At 821 pm edt, doppler radar indicated a severe thunderstorm capable of producing quarter size hail and damaging winds in excess of 60 mph. 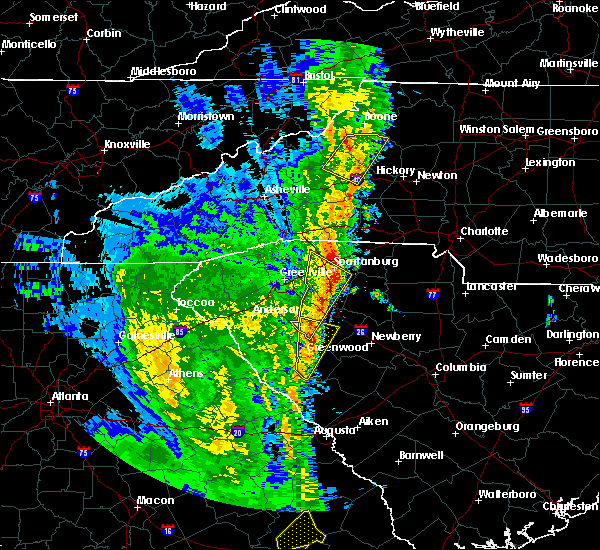 this storm was located 7 miles northwest of spartanburg, or near boiling springs sc, moving southeast at 20 mph. locations impacted include, spartanburg, boiling springs sc, inman, roebuck, campobello, lake bowen, usc upstate, fingerville, cowpens and mayo. 7/13/2015 7:58 PM EDT At 758 pm edt, doppler radar indicated a severe thunderstorm capable of producing quarter size hail and damaging winds in excess of 60 mph. this storm was located 8 miles southeast of spartanburg, or near croft state park, moving southeast at 10 mph. locations impacted include, pacolet, jonesville, pacolet mills, croft state park, cedar springs, pauline and spartanburg. 7/13/2015 7:56 PM EDT At 755 pm edt, doppler radar indicated a severe thunderstorm capable of producing quarter size hail and damaging winds in excess of 60 mph. this storm was located 10 miles southeast of columbus, or near campobello, and moving southeast at 20 mph. 7/13/2015 7:32 PM EDT At 731 pm edt, doppler radar indicated a severe thunderstorm capable of producing quarter size hail and damaging winds in excess of 60 mph. this storm was located 4 miles southeast of spartanburg, or near croft state park, and moving southeast at 15 mph. 7/13/2015 7:17 PM EDT At 717 pm edt, doppler radar indicated a severe thunderstorm capable of producing quarter size hail and damaging winds in excess of 60 mph. this storm was located near spartanburg, moving southeast at 15 mph. locations impacted include, spartanburg, pacolet, pacolet mills, croft state park, cedar springs, pauline and roebuck. 7/13/2015 6:50 PM EDT The national weather service in greenville-spartanburg has issued a * severe thunderstorm warning for. 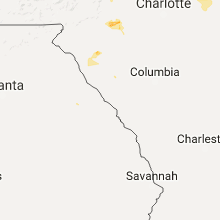 east central spartanburg county in upstate south carolina. until 730 pm edt * at 649 pm edt. doppler radar indicated a severe thunderstorm capable of producing damaging winds in excess of 60 mph. This storm. 6/26/2015 8:10 PM EDT The severe thunderstorm warning for northeastern spartanburg county will expire at 815 pm edt, the storm which prompted the warning has weakened below severe limits, and no longer poses an immediate threat to life or property. therefore the warning will be allowed to expire. however gusty winds and heavy rain are still possible with this thunderstorm. 6/26/2015 7:57 PM EDT At 756 pm edt, doppler radar indicated a severe thunderstorm capable of producing quarter size hail and damaging winds in excess of 60 mph. this storm was located 4 miles north of spartanburg, or near usc upstate, moving northeast at 20 mph. locations impacted include, spartanburg, boiling springs, pacolet, cowpens, inman, mayo, chesnee, pacolet mills, lake bowen and usc upstate. 6/26/2015 7:41 PM EDT At 741 pm edt, doppler radar indicated a severe thunderstorm capable of producing quarter size hail and damaging winds in excess of 60 mph. this storm was located near spartanburg, or near usc upstate, moving northeast at 20 mph. locations impacted include, spartanburg, boiling springs, duncan, lyman, pacolet, cowpens, wellford, inman, mayo and roebuck. 6/26/2015 7:31 PM EDT At 730 pm edt, doppler radar indicated a severe thunderstorm capable of producing quarter size hail and damaging winds in excess of 60 mph. this storm was located 6 miles west of spartanburg, or 4 miles southeast of wellford, and moving northeast at 20 mph. 6/24/2015 5:59 PM EDT At 559 pm edt, doppler radar indicated a severe thunderstorm capable of producing damaging winds in excess of 60 mph. this storm was located 8 miles east of taylors, or near duncan, and moving southeast at 10 mph. penny size hail may also accompany the damaging winds. 6/9/2015 5:47 PM EDT At 546 pm edt, doppler radar indicated a severe thunderstorm capable of producing quarter size hail and damaging winds in excess of 60 mph. this storm was located 4 miles east of spartanburg, or near cedar springs, moving southwest at 5 mph. locations impacted include, spartanburg, woodruff, pacolet, roebuck, pacolet mills, croft state park, cedar springs, moore and pauline. 6/9/2015 5:23 PM EDT At 523 pm edt, doppler radar indicated a severe thunderstorm capable of producing quarter size hail and damaging winds in excess of 60 mph. this storm was located over spartanburg, and moving south at 15 mph. 5/28/2015 6:10 PM EDT The severe thunderstorm warning for northeastern spartanburg county will expire at 615 pm edt, the storm which prompted the warning has weakened below severe limits, and no longer poses an immediate threat to life or property. therefore the warning will be allowed to expire. however small. 5/28/2015 5:55 PM EDT At 555 pm edt, doppler radar indicated a severe thunderstorm capable of producing damaging winds in excess of 60 mph. this storm was located 5 miles east of spartanburg, or over cedar springs, moving northwest at 10 mph. nickel size hail may also accompany the damaging winds. locations impacted include, spartanburg, pacolet, cowpens, roebuck, pacolet mills, croft state park, cedar springs, mayo, pauline and moore. 5/28/2015 5:36 PM EDT At 536 pm edt, doppler radar indicated a severe thunderstorm capable of producing damaging winds in excess of 60 mph. this storm was located 9 miles east of spartanburg, or over pacolet, and moving northwest at 10 mph. nickel size hail may also accompany the damaging winds. 5/12/2015 12:14 AM EDT At 1214 am edt, doppler radar indicated a severe thunderstorm capable of producing damaging winds in excess of 60 mph. this storm was located 10 miles east of mauldin, or 5 miles west of woodruff, moving northeast at 15 mph. penny size hail may also accompany the damaging winds. locations impacted include, woodruff, moore, reidville, fountain inn and roebuck. 5/11/2015 11:48 PM EDT At 1148 pm edt, doppler radar indicated a severe thunderstorm capable of producing damaging winds in excess of 60 mph. this storm was located 5 miles southeast of mauldin, or over simpsonville, and moving northeast at 20 mph. penny size hail may also accompany the damaging winds. 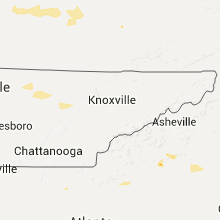 4/20/2015 4:28 PM EDT The national weather service in columbia has issued a * severe thunderstorm warning for. anderson county in south carolina. 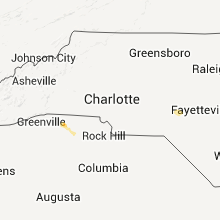 greenville county in south carolina. laurens county in south carolina. This includes the city of laurens. 4/20/2015 2:46 PM EDT At 240 pm edt, national weather service doppler radar indicated a severe thunderstorm capable of producing nickel size hail. this storm was located near inman, or 14 miles south of columbus, and moving east at 35 mph. * the severe thunderstorm will be near, boiling springs sc by 255 pm edt, chesnee, mayo and 8 miles north of cowpens by 310 pm edt,. 5/23/2014 3:43 PM EDT Tennis Ball sized hail reported 4.2 miles NNE of Roebuck, SC, social media report shows hail the size of tennis ball in moore sc. 4/27/2012 4:51 PM EDT Golf Ball sized hail reported 6.2 miles NW of Roebuck, SC, golf ball hail reported on highway 215 at foster mill circle. 3/3/2012 2:11 AM EST Half Dollar sized hail reported 0.4 miles NE of Roebuck, SC, public report of hail an inch and a quarter in diameter which is half dollar sized in roebuck.